It’s lunchtime in a busy restaurant, and a baby starts whimpering. Her mother adjusts some clothing and a blanket, and starts discreetly feeding the baby. A neighboring diner complains that it’s indecent, and the mother, red-faced with embarrassment and anger, leaves, her baby still crying and hungry. Breastfeeding is one of the most natural, life-giving acts humans can do, yet even at this moment, when America is more socially accepting and progressive than any other time in history, and when the number of breastfeeding mothers is on the rise, scenes like this play out all day long, in cities and rural areas, for moms of all demographics. Women are still being shamed for breastfeeding. The Butterfly is located on a historical wall in an up-and-coming neighborhood adjacent to Green Bay, called Titletown. There’s a grassy patch in front of the wall, where people can stand to have their picture taken. 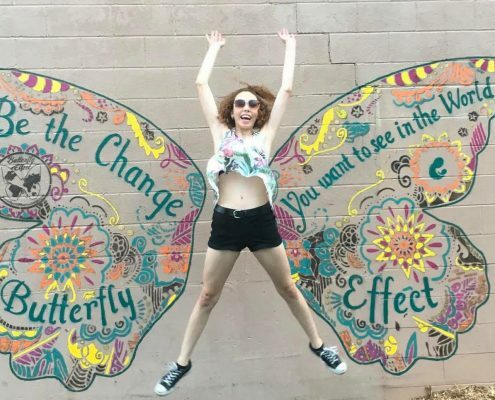 For every picture hashtagged with #bcbcbutterlyeffect, the Butterfly Effect arm of the Wahl Foundation will donate $1 to the coalition, up to $1,000. The butterfly, painted in vibrant colors of sunflower, raspberry, orange and teal, symbolizes the diversity of the community and the people served by the program. “I feel like when a few people stand in front of it and they raise their arms up, there’s this visual that they’ve got, which to me is empowering,” Beth said. 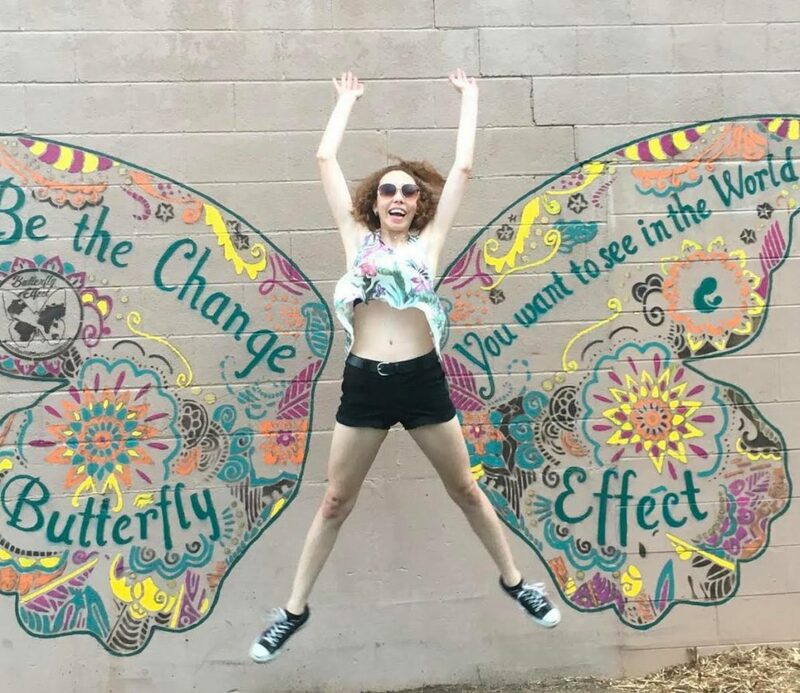 The philosophy behind the Wahl2Wall Butterfly project is simple: Small acts of kindness are contagious. They spark new joy and inspire people to take action to help where they can. For the Coalition’s butterfly, it all went according to plan. Even before the Butterfly was finished, passersby were drawn to it, whether they were sharing breastfeeding stories or not. One Peace Corps volunteer came by to give thanks. A local professional artist chipped in to help with the painting. 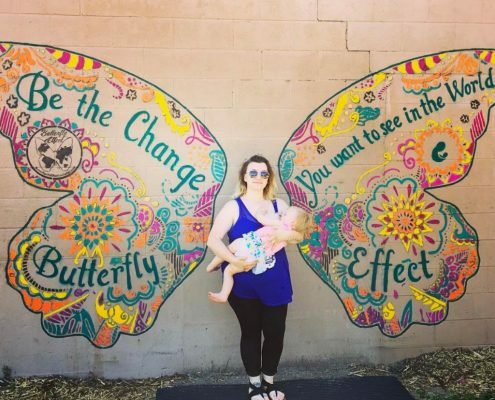 And a group of college students came with their mothers to see the butterfly, which sparked other conversations about parenting and keeping babies healthy. What’s more, even a neighboring restaurant owner offered to create a butterfly cocktail and add the hashtag on the menu.